Maui’s dolphins live only in New Zealand and are the smallest and rarest dolphins on earth. Fishing has devastated these dolphins to near extinction and continues to kill them faster than they can breed because only a small part of the dolphins' home is protected. Maui's dolphin numbers have dropped from 1,800 to less than 50 since the introduction of nylon filament nets in the 1970s. Spurred on by the fishing industry, the New Zealand government is refusing to protect the dolphins. Maui's dolphins are facing imminent extinction and saving them is a race against time. OUR GOAL: Full protection for Maui's dolphins against gillnets and trawling across their habitat range. 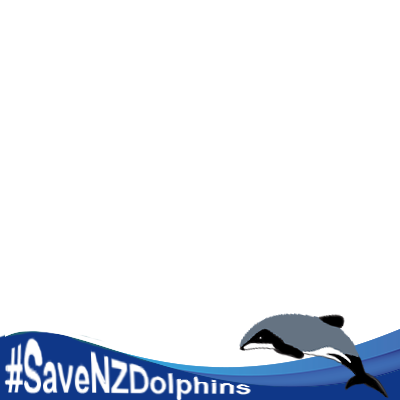 Please help raise awareness about the dolphins' desperate plight by wearing this Twibbon. Thank you!